(Please specify when you RSVP) Limit 6 per date. Please RSVP and pay in advance ($25) to hold your spot - so grab a friend and come make something fun! Light refreshments will be served. Cost will be $25. 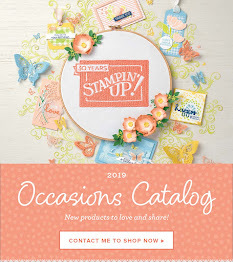 All materials to make cards provided. Can you believe that it’s spring? We have just enjoyed our "wearin’ of the green" and in a breath it’s time for Passover and Easter. Here is one of my offerings for Easter Greetings this year. 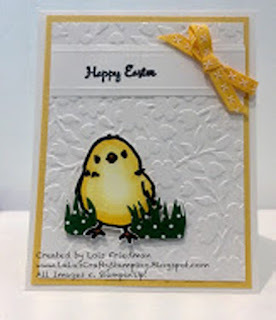 I used an adorable little chick from last year’s Honeycomb Happiness found Spring Occasions catalog (ok, so I’m a bit slow) but I saw one like this on Pinterest originally posted on Splitcoast Stampers by beesmom. and is actually calm enough to have people over without them getting kissed to death, so I’m able to have workshops again..